During the work, we make many mistakes which have a negative effect on our health. There are some of these mistakes that increase our weight. If these mistakes are not avoided, then the problem of weight gain can be avoided. Breakfast: Metabolism becomes slow due to avoiding breakfast. This also slow down the fat burning process and weight increases. Stress: Stress increases such hormone that increases hunger. In this case, overeating increases weight. Water: Many people do not drink water during work. Therefore, toxins cannot come out from the body and digestion becomes weak. 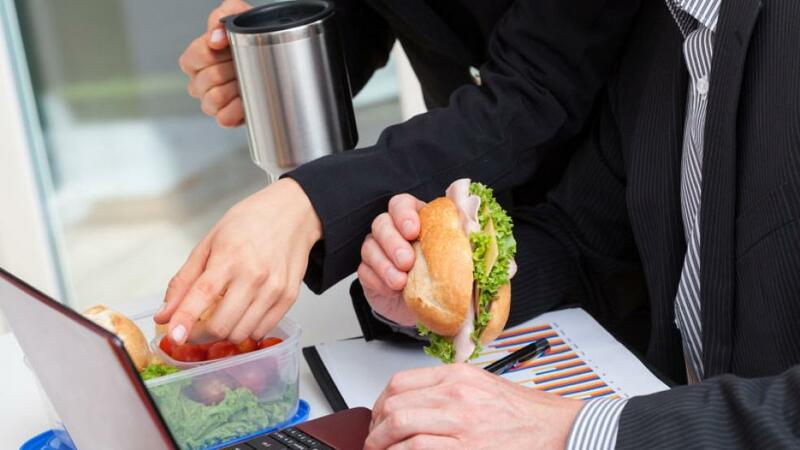 Snacks: Body fat increases due to having high calorie food during office time. This also increases weight. Hunger: Taking lunch on improper time and hunger makes metabolism slow. Therefore, food cannot digest easily and weight increases. Sitting: Calorie cannot burn easily due to sitting for long time. Therefore, weight increases. One should take little walk after every 40-50 minutes.